An essential part of any cyclist's winter wardrobe, our GCN Leg & Arm Warmers are designed to ensure a perfect fit made with breathable and comfortable fabrics. The GCN Pro Team Arm Warmers are wardrobe essentials to ensure you can keep warm on those cooler days. These are made using an anatomical pattern design for increased comfort, they are left and right specific for an optimal fit when in the riding position. The GCN Pro Team Knee Warmers are wardrobe essentials to ensure you can keep warm on those cooler days. These are made using an anatomical pattern design for increased comfort, they are left and right specific for an optimal fit when in the riding position. Make sure you stay warm this winter with our GCN Winter Accessories Bundle. This bundle is made up of our customer favourite GCN Fan Kit Arm and Leg Warmers and is the perfect winter riding bundle. 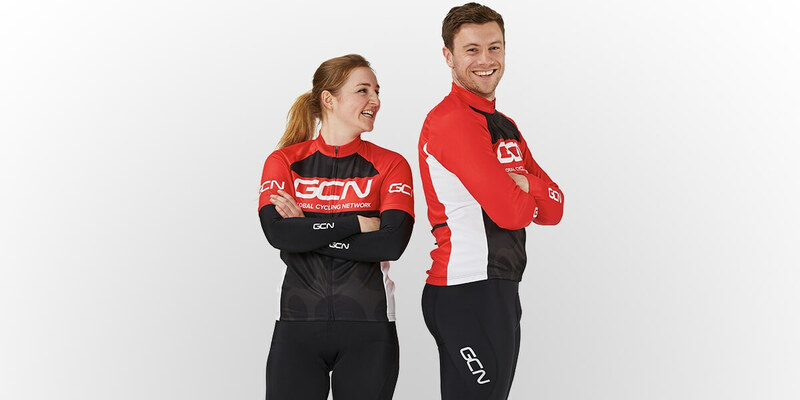 Why not complete the look, and purchase with our GCN Fan Kit. The GCN Fan Kit Leg Warmers ensure you can keep warm on cooler days.